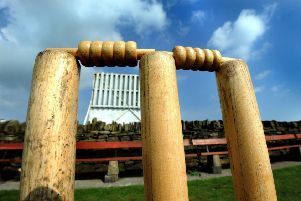 In the annual Jubilee Cup pre-season warm-up against South Shields, Tynemouth first XI suffered a five-wicket defeat. Batting first, Tynemouth’s ‘rustiness’ was evident as they lost four wickets for only 11 runs. Captain Ben Debnam (20), however, remained resolute at the other end and steadied the ship until he was the seventh wicket to fall with the score on only 53. Debnam was supported by useful contributions from Phil Morse (19) and the last tenth wicket partnership of Carl Salvidge (12 not out) and Finn Lonnberg (17). Tynemouth posted 82 all out, which was a below par score but certainly one that the bowlers could have a crack at defending. Player of the year David Hymers spent the close season playing cricket in Australia and he picked up where he left off for Tynemouth last season by taking three early wickets. South Shields Australian professional Tim David looked to be edging his team closer to the target before a stunning catch by Morse at second slip off the bowling of Hymers saw him depart with the score at 40-4. Andrew Smith then struck to leave South Shields five down with 30 still required. However, the next two South Shields batsmen, although nervy at times, knocked off the remaining runs despite some encouraging signs of turn and bounce from new professional Tahir Khan. Tynemouth fielded and bowled well but unfortunately 82 was never going to be enough to defend. Club captain Debnam will be looking for a more resilient batting performance in the NEPL season opener away to Stockton on Saturday. The second team fixture against South Shields was rained off and they will welcome Stockton seconds to Preston Avenue on Saturday for their first game.